Electronium, Circle Machine, Clavivox e Bandito the Bongo Artist: questi solo alcuni degli strumenti che si sentono all'opera nel nuovo splendido capitolo monografico dedicato da Basta Music al genio pionieristico di Raymond Scott (1908-1994), Three Willow Park: Electronic Music from Inner Space, 1961-1971. Ricco l'apparato informativo incluso (Notes and Documents) e ancor più ricco quello disponibile sul web (Artifacts from the Archives), esteso anche ai precedenti Manhattan Research Inc. e Soothing Sounds for Baby. Willow Park Center was an industrial rental complex of offices and warehouses in a Long Island suburb. Following his 1965 marital breakup, Scott set up shop at WPC. He operated a musical lab — researching, experimenting, testing, and measuring. He twirled knobs, flipped switches, and took notes. He installed equipment and machines, and used them to build new equipment and machines. This makeshift compound remained Scott’s workspace and bedroom until 1971, when he decamped for L.A. to work for Berry Gordy at Motown. Scott was a highly qualified engineer who also happened to be a conservatory-trained (Juilliard) musician. He could compose, arrange, perform, improvise and edit, but given a shelf of hardware and a soldering iron, he could also rig an appliance to further his musical aims. Like many visionaries, Scott foreshadowed the future. He developed technological processes which were pivotal in the evolution of the fax machine. He composed a “silent” piece years before John Cage‘s 4′ 33″. He predicted (in 1944) that composers would someday reach audiences via thought transference. He applied for and was awarded numerous patents. Foremost, he developed electronic and automated sound-generating technology to craft the elements of pop music at a time when circuit-made sound was largely a novelty, used in “serious” works, or cranked-up for special effects in science fiction films. 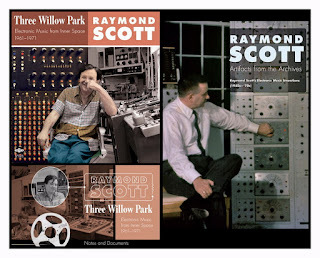 In 1946, while still leading jazz bands, Scott established Manhattan Research, Inc., billed as “Designers and Manufacturers of Electronic Music and Musique Concrète Devices and Systems”. By the 1950s, he was using his inventions to produce commercials with electronic soundtracks, as well as developing automated sequencer technology. 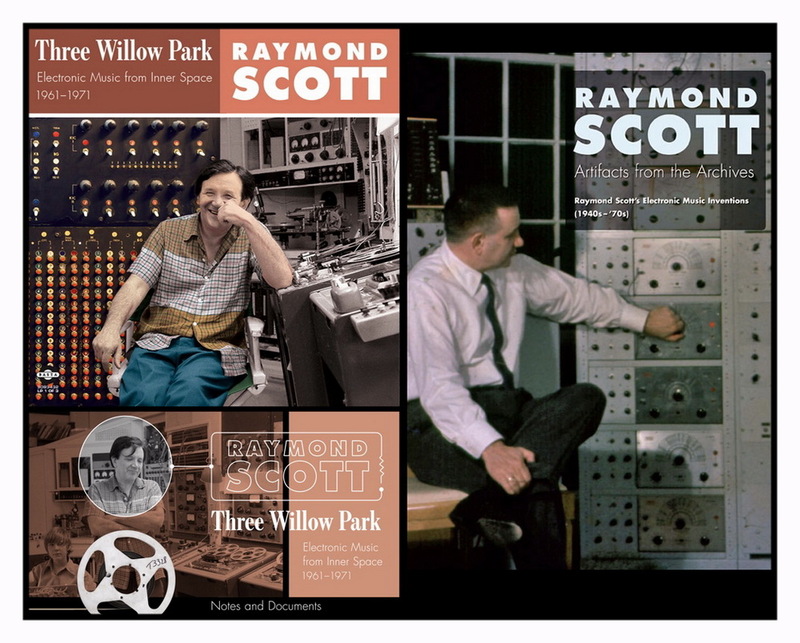 His friend and colleague Bob Moog said, “Scott was definitely in the forefront of developing electronic music technology and using it commercially as a musician”.